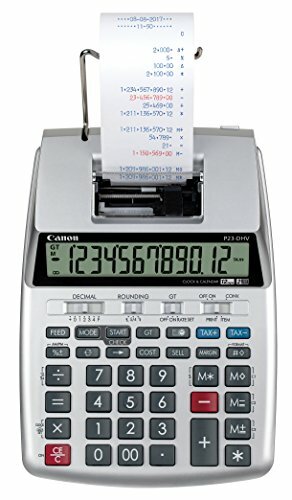 The P23-DHV-3 printing calculator features a Double Check Function, Tax Calculation and Currency Conversion and many other features. Easy paper Loading: we have made Loading paper easier than ever by moving the paper slot higher up on the printer. No more jamming your fingers to load paper.